It isn’t a secret that in order to run successful marketing campaigns and effective websites, you must collect some degree of customer feedback in order to move forward. However, not everyone realizes customer feedback is not equal. Customer feedback that is incomplete or simply not informative enough can give leave your content to stagnate, or worse, misguide your entire marketing strategy. Use these techniques to ensure marketing and sales departments collect meaningful customer feedback so you know what you need to do differently to maximize sales. Is the Feedback Going to be Useful? The absolute last thing you want in the process of collecting user feedback is to interrupt a user’s experience. Make sure any and all feedback requests are placed in an appropriate spot with appropriate content. It can be a delicate thing to balance – you want the opportunity to collect feedback, but a feedback “agent” should never distract from an email or website’s core objective. One suggestion is to use surveys, built in to lead nurturing programs, to automate the process of collecting input from prospects and/or customers. You have to make sure that you are asking the right questions in order to get the information that will build good data. Asking open-ended questions such as “Did you like this page?” will, more often than not, net you open-ended answers that may not even really give you much to work with at all. 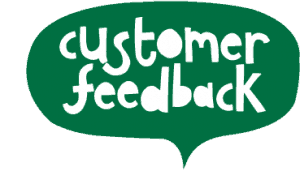 Try to ask direct questions that result in direct answers, so everything contained in a customer’s feedback is useful. You may think that feedback itself is testing, and thus doesn’t need to be rigorously A/B tested; however, nothing could be further from the truth. The way in which you ask for customer feedback can have a much bigger impact than you might expect, and the ability to compare how answers vary in response to differently presented or worded questions can be surprising. In addition, the ability to compare those different sets of answers side by side can be invaluable, and help lead you to conclusions that you would not have been able to find with either set on its own. Even if you find a feedback pattern that suits your practices, running A/B testing on smaller, specialized demographics can also help sharpen your overall process. Obviously, all of these processes take time, so be sure to pursue a feedback strategy that fits the overall resources available for your department. You want all the feedback you collect to be helpful, and not simply data mining that your marketing department will never have time to look at. Using these strategies, you should be able to use your marketing automation software to collect meaningful customer feedback, and your marketing department can begin modifying their practices accordingly. To learn more about collecting strong customer feedback, visit Lead Liaison’s marketing automation resource blog online.